Microsoft released a Convenience Rollup for those who are still running Windows 7. This update is optional. Convenience Rollup is a collection of patches and security fixes that Microsoft has labeled as ‘recommended’. 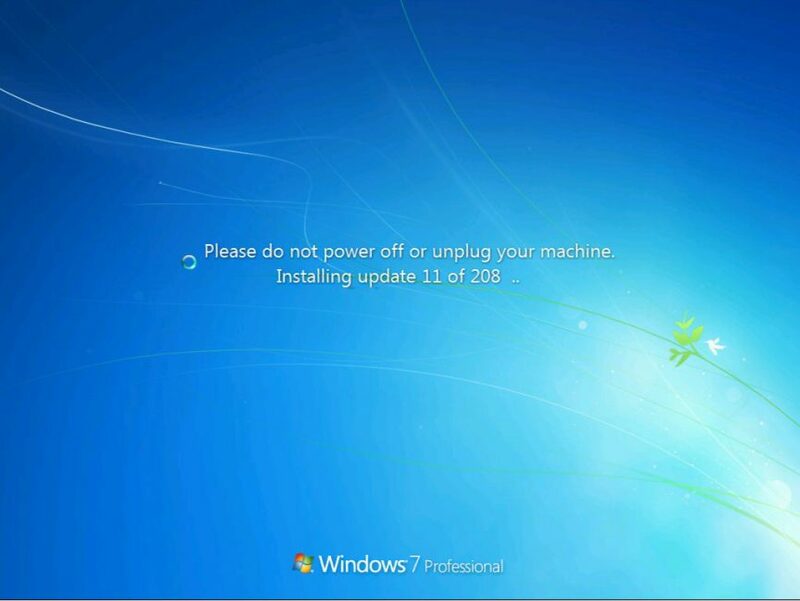 The user requires a single reboot to install all included fixes in this update. Microsoft also announced that Windows 7 SP1, Windows 8.1, Windows Server 2008 R2 SP1, Windows Server 2012 and Windows Server 2012 R2 will get monthly updates. That means a single update containing all the fixes will roll out to users monthly. Windows 10 which was released last year is still catching up with Windows 7. Windows 7 still claims a 47,82% desktop operating system market share. This convenience rollup package contains all the security and non-security fixes released since the release of Windows 7 SP1 that are suitable for general distribution, up through April 2016. Install this one update, and then you only need new updates released after April 2016. And since this update can be injected into Windows 7 SP1 media, it’s fully supported to mount a Windows 7 SP1 image (WIM file), then inject this update into it. This convenience update is completely optional, it doesn’t have to be installed and won’t even be offered via Windows Update. You can choose whether or not you want to use it.